1 Oct: 360,500 at 23.06 cents. 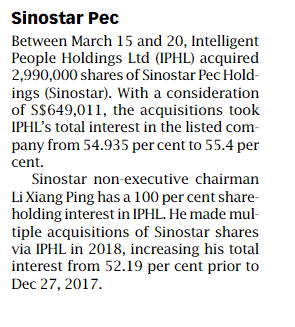 Lots of buying by non-executive chairman. Is it attractive ? Acquisition of Dongming Qianhai completed in Dec 2018, will contribute to earnings from 2019.